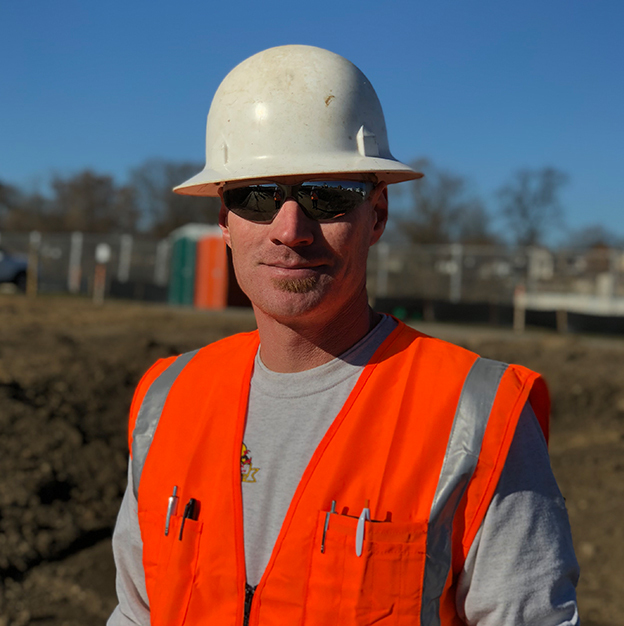 My role at Selge Construction as job site Foreman is focused on building underground construction facilities. I manage a crew of 5-7 people, sometimes more depending on the job. I take pride in having a safe working environment, respecting others and delivering a final product of the highest quality. My work background includes installation of underground utilities (water, sewer, electric). I assist in concrete flat work and grading of roads, sidewalks, driveways and ditches. I have been with Selge Construction for 17 years. Prior to Selge I worked for a landscape company while attending high school. I graduated from Brandywine High School in 2000. During high school I played football, basketball and baseball. Today I live in Niles, Michigan with my wife, Jenna of 10 years and our three children, Zac, Ella and Courtney. We spend most of our time watching our kids play sports all year round. When I’m not watching or helping coach their teams, I also enjoy hunting, camping and being outdoors with my family.